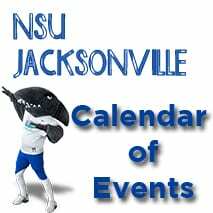 Have you participated in any of NSU’s various community service events, donation drives, walks, fundraisers, or various other charitable opportunities from December 2017 to the present? 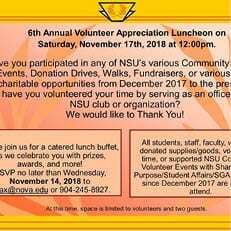 Or have you volunteered your time by serving as an officer/advisor in any NSU club or organization? 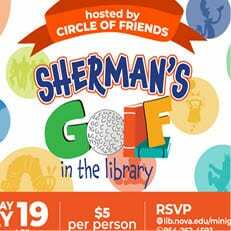 Come join us for a catered lunch buffet, as we celebrate you with prizes, awards, and more! RSVP no later than Thursday, November 14, 2018 to sajax@nova.edu or (904) 245-8927. 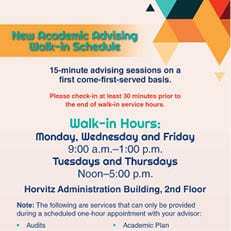 At this time, space is limited to volunteers and two guests. 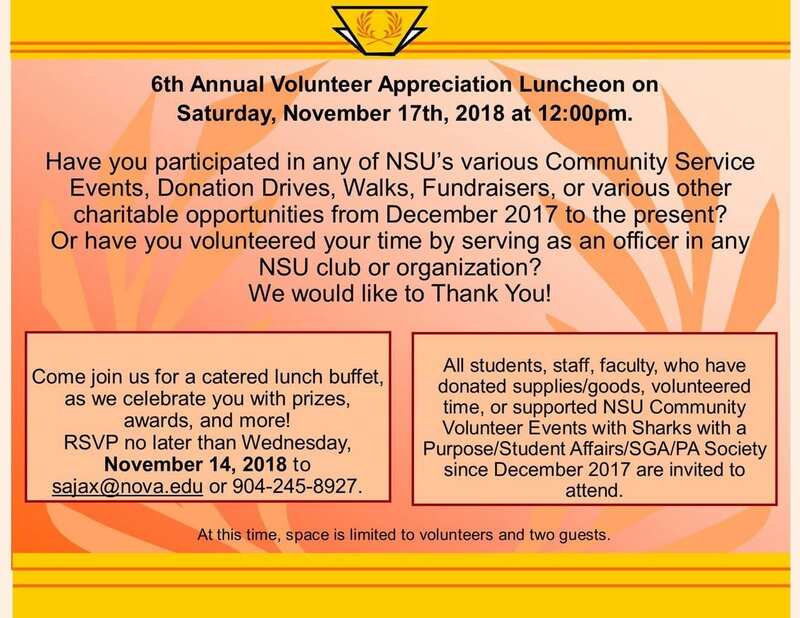 All students, staff, faculty, who have donated supplies/goods, volunteered, served as an officer, or supported NSU Community Volunteer Events with Sharks with a Purpose/Student Affairs/SGA/PA Society since December 2017 are invited to attend.